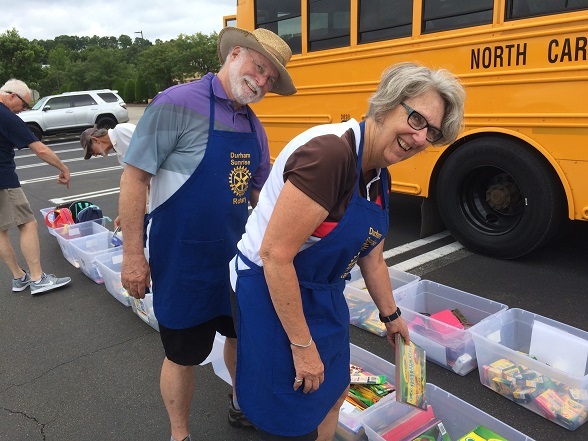 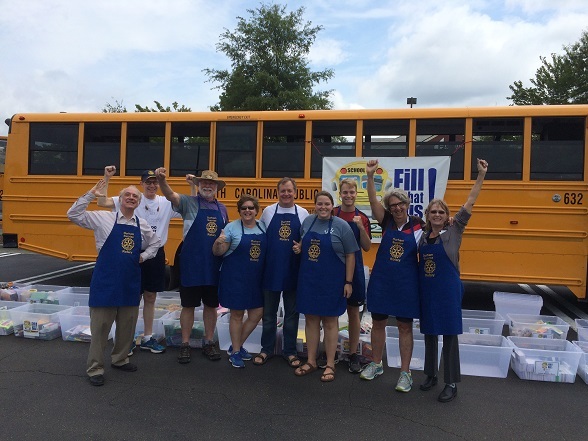 On Saturday, August 18, a contingent of Sunrise Rotarians, with family members and friends, braved the heat, humidity, and rain threats of the weekend, and turned out at the Sam’s Club parking lot at South Square to help staff the 2018 “Fill That Buss” supply drive for Crayons 2 Calculators (C2C), along with fellow Rotarian friends from Southwest Durham and Durham Downtown clubs. 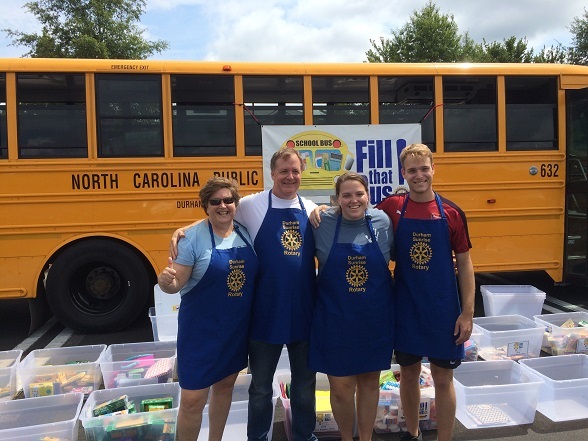 And our team was bolstered once again by the “force multiplier” otherwise known as most of “Team Wicker” ! 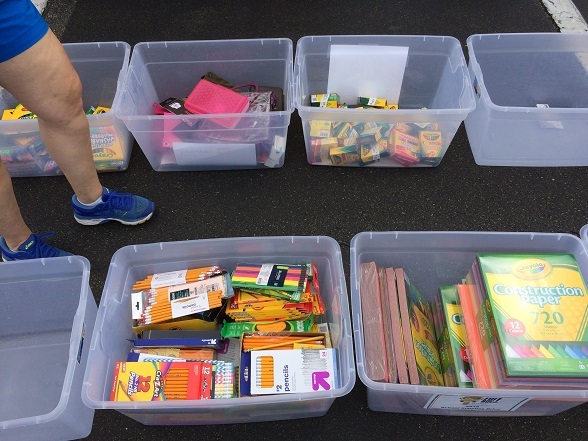 Thanks again and well done, everyone !